Our featured alumnus, Vishruti Desai, graduated with an MS in Software Engineering in January 2013. The previous she obtained an Engineering Internship at QIS (Qualcomm Internet Services) division at Qualcomm Incorporated in San Diego, California, where she not only worked for the Customer Engineering team under the guidance of the team project manager and an assigned mentor, but she won a prestigious innovation competition for interns, and was invited by the company to submit a patent for her work. 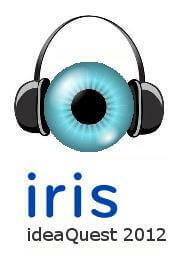 The Iris Idea Quest 2012 was a competition in which all Qualcomm interns nationwide were invited to submit ideas and evaluated successively by many Qualcomm employees. In the first round 110 ideas were submitted; Vishruti’s idea was selected as one of the top ten for further development. She was given the opportunity to select a team of 4 interns to advance in the competition, which had to be completed in only 3 weeks with only 3 hours per week of team time. The submissions in the 2nd round were evaluated by over 500 engineers at a Qualcomm internal gathering. Vishruti’s team was one of the top three finishers, and her project, “Smart tool for headphones,” was selected for a patent application. Vishruti reports that preparing and reviewing the patent application (all 45 pages) was an important learning experience for her. 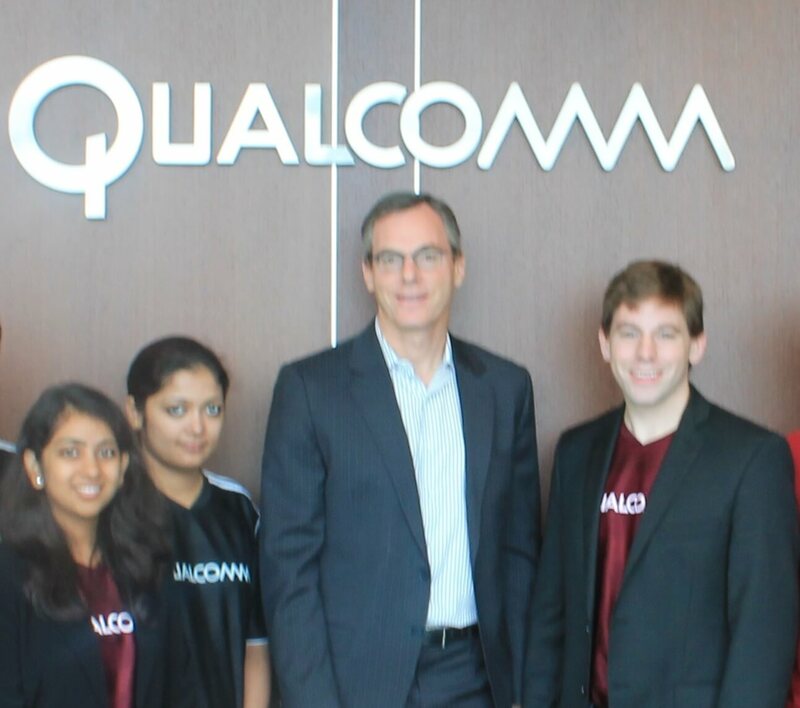 Vishruti Desai ’13, second from left, pictured with the CEO of QualComm, Dr. Paul Jacobs, and the other winning team leaders at the Iris Idea Quest awards ceremony.